Change is inevitable. Kids of today are fluent in the language of iPad and are masterminds at the Candy Crush Saga, whereas 50-years-ago many would have been happy throwing a ball around in the street. Who knows what skills today’s children could bring to the insurance industry in 20-years-time? As people with new skill sets enter the insurance industry, traditional roles are changing. Today’s insurance broker is very active online and is under pressure to interact with clients via multiple touch points. They’re also up against new and emerging risks that are tough to transfer and even trickier to translate. By and large, the brokerage industry is embracing these challenging but exciting times. Rather than succumb to the narrative of ‘technology taking over the world,’ many brokers are tapping into the efficiencies that can be gained by using digital tools. 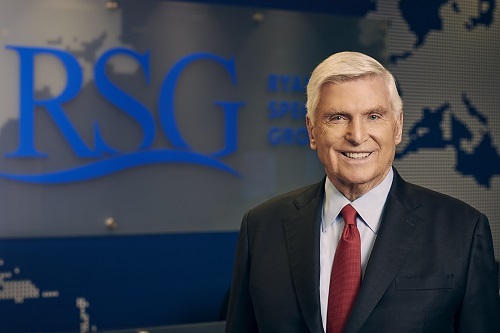 According to Patrick G. Ryan, founder, chairman and CEO of Ryan Specialty Group (RSG), the role of the broker is evolving to become “ever more important”. Speaking to Insurance Business, Ryan said the advice and the advocacy of the broker is only going to grow more essential as risks evolve. As the insurance industry progresses and becomes ever more technologically adept, insurance brokers are going to have lots more white noise to interpret for their clients. Being able to identify and communicate crucial pieces of data will continue to be a key value proposition of the broker. Personal lines insurance is a different story, Ryan admitted. It’s impossible to ignore the huge market share that direct players like Progressive and Geico have carved out over the past 40+ years, especially in the personal auto sector. People are accustomed to buying personal auto insurance without an agent, Ryan stated.